Onychia (pronounced o-nik´e-ah) is a medical term denoting a specific type of infection that affects the fingernails and toenails. According to Foot Vitals, there are two related conditions: onychia and paronychia. (1) The former affects just the nail portion of the fingers and toes. The latter affects the surrounding tissues near the fingernails and toenails. The two conditions may occur together or separately, but if one occurs and is not treated promptly, the other condition may quickly unfold as well. 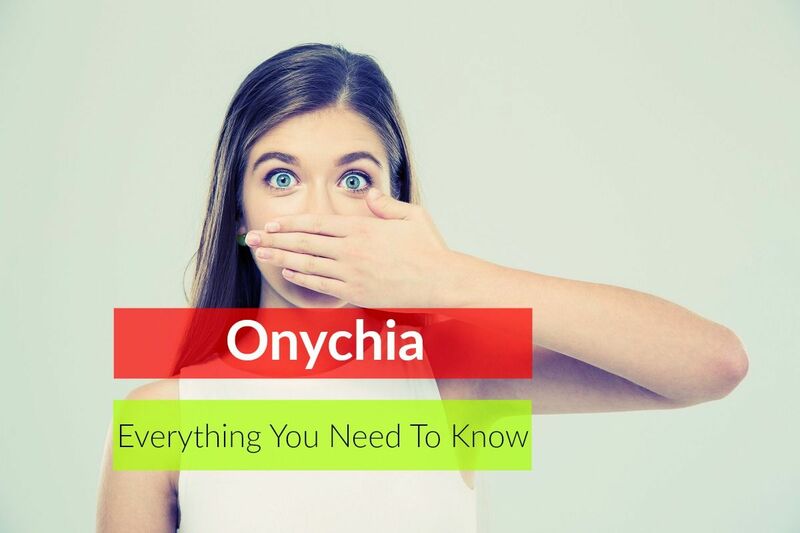 If you or someone you care about may be suffering from onychia, this article will give you sufficient general information to make an appointment with your doctor for further evaluation, diagnosis and treatment. Nail trauma. If you have had an injury to your foot, nail bed, cuticle or nail fold or to other nearby tissues, bacteria or fungi can invade through even micro-injuries and begin to cause symptoms of onychia. Poorly fitting footwear. If you regularly wear high heels, narrow-toed shoes, too-short athletic shoes or a combination thereof, over time this can cause micro-injuries to your toenails that could permit microorganisms entry. Inadequate foot or hand hygiene. There are many activities of daily life, such as gardening, cooking, sports and similar others that could cause minor or major injuries to hands or feet and nails. Present bacteria or fungi could invade from unwashed produce or raw meats, soil or even less clean locker room conditions and cause onychia. Onychia can also sometimes occur in elderly individuals who are no longer available to tend to their personal hygiene needs in full on their own. Complications from diabetes. Because diabetes is a disease that impacts blood flow and blood toxicity, it can lower the body’s own natural immune response to the presence of bacteria or fungi. This can increase cases of nail diseases in both hands and feet. Complications from skin conditions. Psoriasis and eczema are two skin conditions that sometimes manifest onychia as side effects. Nutritional deficiencies. If the body does not get adequate, balanced, daily nutrition, this can cause nail beds to become weak and cracked, producing increased susceptibility to conditions like onychia. Use of artificial nails. For individuals who have artificial nails to extend their natural nails, an infection can sometimes begin underneath the artificial nail and begin to spread without the person even realizing it. This can in time lead to nail disorders and abnormalities. Ingrown nail. An ingrown fingernail or toenail can damage surrounding tissues and make a path for microorganisms to enter and cause infection. » Redness or discoloration of surrounding tissues. » Existing presence of an ingrown nail. » Discomfort and irritation at the infection site. » Swelling and inflammation, including edema (fluid buildup) near the infection site. » Discoloration of the nail bed (may be yellow, brown, black, white or some other color). » Fluid buildup may produce pus or discharge that begin to drain and spread the infection from the nail bed to the surrounding tissues or vice versa. » The pus may cause an abscess, an open area surrounded by inflamed tissue. » Fever or heat accompanied by reddish streaks around the affected area of the nail/nail bed/tissues. » Muscle or joint aches or weakness. These are not the only possible symptoms that onychia can cause. For this reason, it is very important to keep a written log of your symptoms to share with your doctor or dermatologist. This can be useful to identify what is causing your onychia and identify the right treatment approach without delay. According to American Family Physician (AAFP), it is relatively easy to confuse onychia with similar skin disorders such as psoriasis and eczema as well as other types of infections. (7) For this reason, it is important to culture the nail bed or affected tissues to determine which pathogen(s) may be present. When seeking a diagnosis for suspected onychia, MD Edge states that the physician or dermatologist will ask for a self-report of medical and medication history and also a history of hand or foot habits. (8) For instance, continual hand/foot washing in strong solutions, regular manicure/pedicure appointments, a known past history of allergic contact dermatitis (eczema) or psoriasis, diabetes, UTIs, a latex allergy or a recent trauma to the area can all indicate the possibility of onychia. The physical exam will focus on the affected area and will include palpation to detect areas of discomfort and inflammation, as well as the possibility of the abscess. A visual examination will look for redness or rash, thickened nail beds, swollen tissues, pus or discharge and other signs of possible onychia and/or paronychia. If pus or discharge is present, a culture may be done to attempt to determine the specific microorganism causing the irritation. This can be helpful in choosing the best medication for treatment. » Keep a written symptoms log and write out your personal medical history. » Make an appointment with your family doctor or dermatologist. » Have the necessary diagnostic tests to obtain an accurate diagnosis of onychia. » Follow the prescribed treatment plan as your doctor recommends.